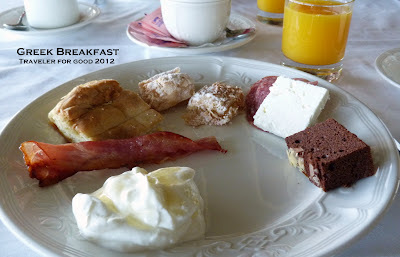 We had a half day city tour on April 9, our first real day in Greece. The main feature of the tour was the Acropolis, and that will get its own post and photo montage. 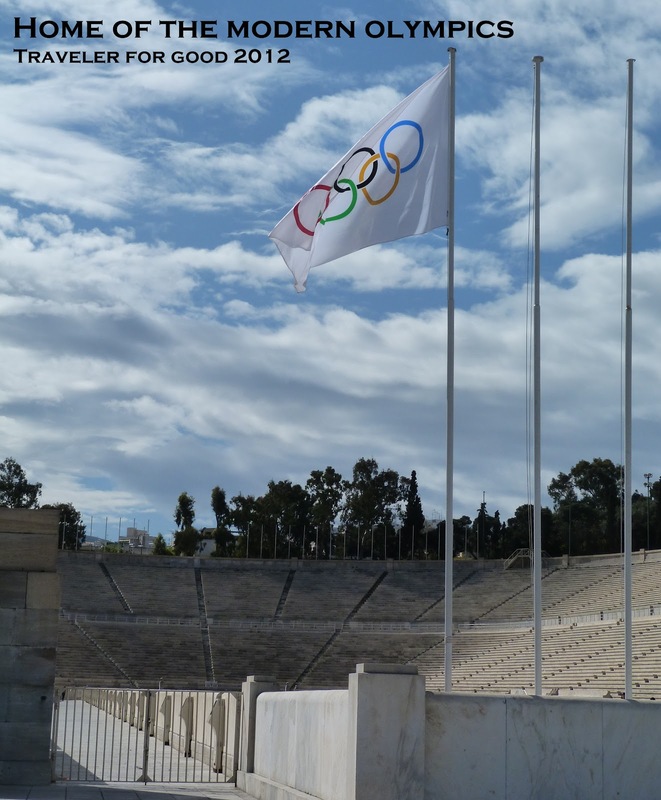 Greece is well known for being the home of the Olympics. The Olympics of the modern era started in 1896 in Athens. The stadium is the finish line for the modern marathon. The legend of the marathon race was that a runner messenger was dispatched from the city of Marathon to Athens to announce that the Persians had been defeated in the Battle of Marathon. He got to Athens, approximately a 25.4 mile run (going the hard way to avoid being caught), and then collapsed (and possibly died) from exhaustion. I know that I would collapse from exhaustion too...my theory on running is that I only run if someone is chasing me. 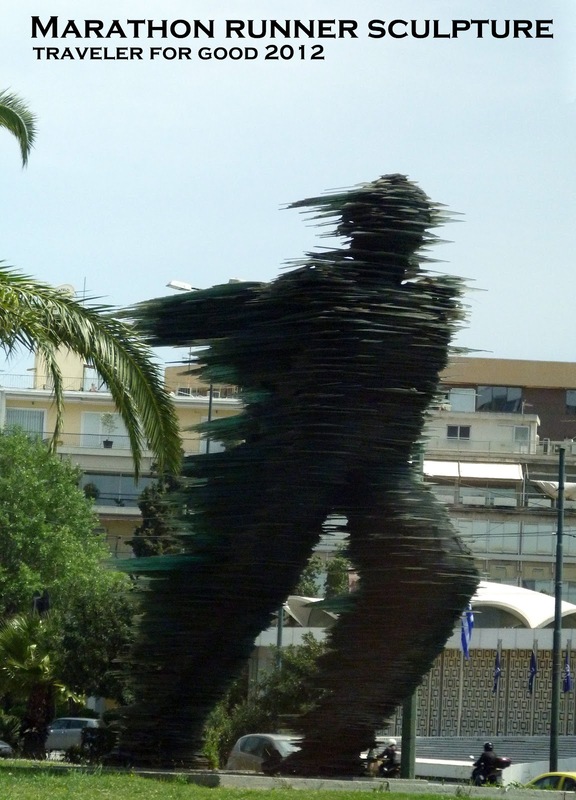 That marathon runner has been immortalized in this great sculpture that shows the runner in motion.